How thick should a dental night guard be? What night guard type should I choose (hard, soft or dual laminated)? Short answer: There is no night guard on the market that is perfect for every single individual. It simply doesn’t exist. The reason why is because every one of us has a different mouth shape, teeth arch, and dental anatomy. To go beyond that, we also have different levels of intensity when dealing with grinding and clenching habits. Some of us will grind right through a thin guard within a few months while a thin type may last and last for a less intense teeth grinder. Effective night guards are specific to the individual. We’ve found that the best way to find the solution to these two questions is to first determine your own grinding habits. Are you a severe teeth grinder or clencher? Light to moderate? 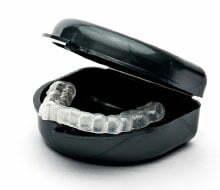 Have you worn a night guard in the past? Was it thick or thin? Tolerable? If your only experience with night guards has been the use of a cheap store bought kind, you will be happy to learn that even our thickest night guard is smaller and less bulky than most mass produced, bulky stock type. Second, accept that finding a dental night guard that works for you might include a little trial and error. We hope to nail it the first time around (and most often we do!). But just in case you receive your dental night guard and think “I wish I would have gone thicker (or thinner)” or “I wish I would have chosen a different type” DO NOT WORRY! We’re here to get you a great fitting guard. This means working with you until you say “Yep! This one is perfect for me.” Period. Bruxism is a condition that makes you grind, clench or gnash your teeth during sleep. If a person has the condition, they may grind their teeth during the day or they may also grind/clench their teeth while asleep. Night bruxism is more common and tends to raise more concern compared to experiencing the condition during the day. This is because we grind and/or clench significantly harder at nighttime. Wearing a night guard is a preventative measure. Even a person with mild bruxism may have major dental issues down the road if the condition persists and they opt to forego the wearing a protective appliance for the teeth. Bruxism can make life uncomfortable not to mention expensive (costly dental repairs). Sleep bruxism is considered a sleep disorder. Some research has indicated that it can be caused by other sleep complications/conditions such as sleep apnea, snoring & disturbed sleep patterns of the individual. The reason for this is most likely an unconscious response to the collapsed airways by tightening the jaw muscles to prevent restrictions of airflow. If you have even a mild form of the condition, through years of continuous grinding or clenching action, it can lead to damaged teeth, gum recession, jaw disorders and bad headaches. It is thus important for you to seek treatment from a qualified dentist. If you have visited a dentist and a diagnosis has confirmed that indeed you have the problem, it is important to manage the condition. Bottom line: Don’t sweep this one under the rug. Untreated bruxism can cause major and expensive dental work down the road). 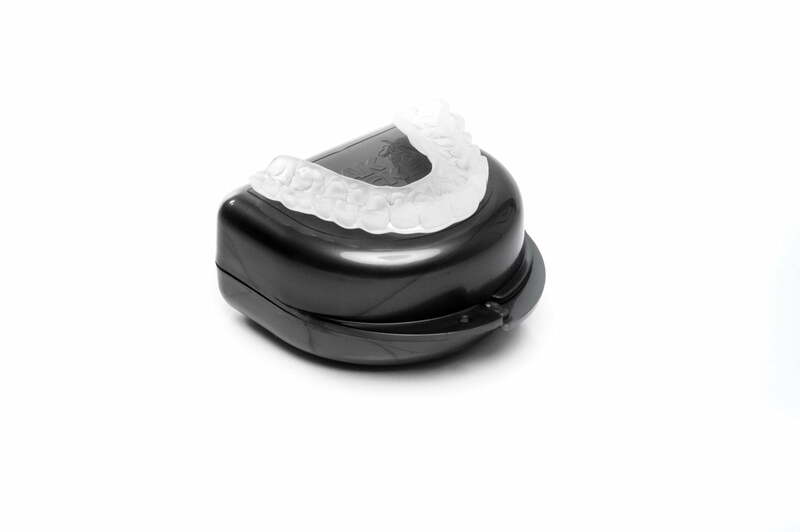 The only known surefire way to protect your teeth from the effects of bruxing is the consistent use of a dental night guard. You already know that the best way to go is to avoid mass produced “one size fits all types” and order a custom dental night guard from a reputable company. Sentinel Mouthguard Co. makes it easy for you to take an impression of your teeth by providing a kit that allows you do it from the comfort of your home. 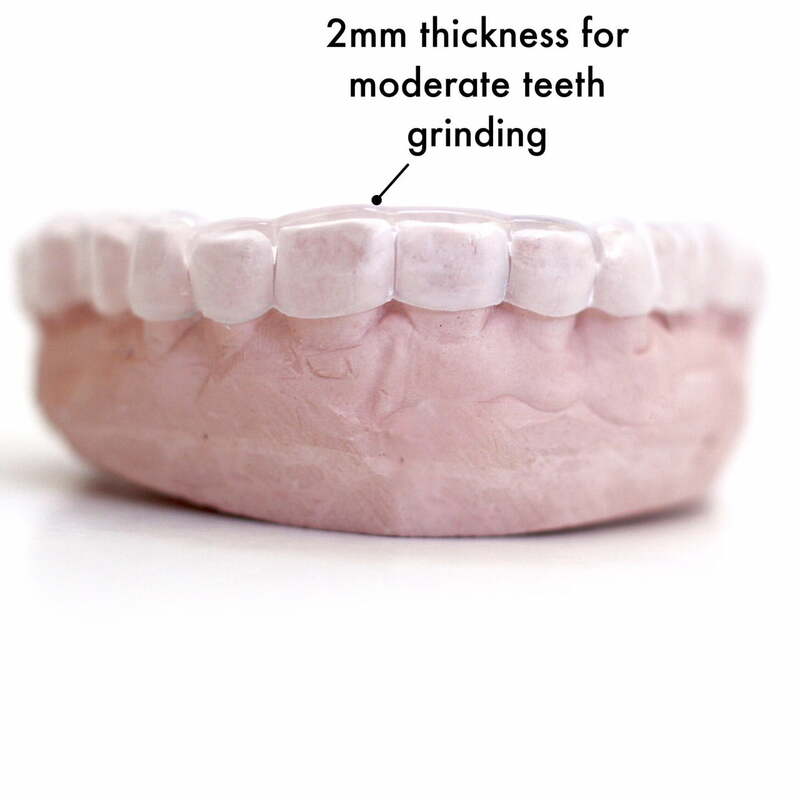 Once the lab receives your impression, we are able to customize and produce a dental night guard that fits your teeth like a glove but there are still decisions to make here. Below are some tips and tricks to steer you towards the right thickness. 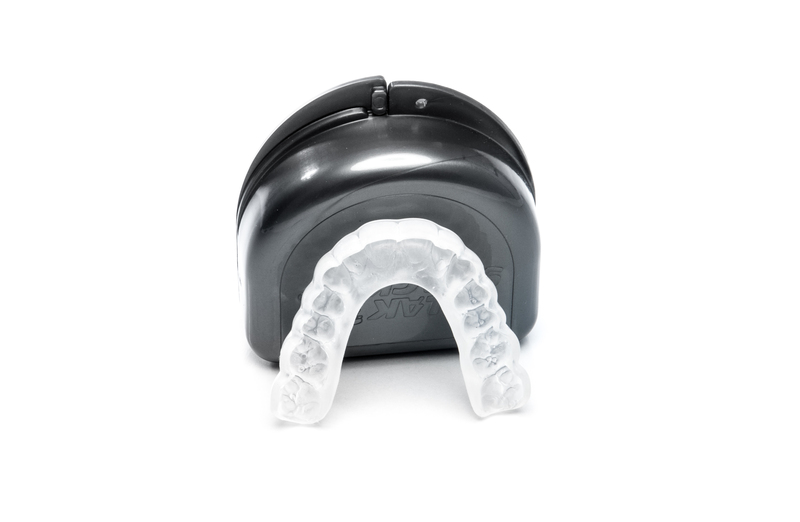 If you are looking for a dental night guard that you can wear during the day, a 1mm thin dental guard may be the best option for you. This is because it allows you to conduct your daily activities including speaking without a problem. 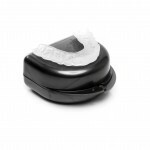 This type of dental night guard is available in a thickness of 1mm and its slimline design allows you wear it comfortably & speak with ease for the duration of your day. Always remove your daytime guard while eating and drinking. This type of dental nightguard is likely to serve you for a period of between six months to two years. 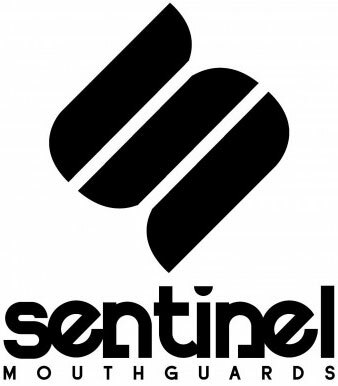 Pictured below is the Sentinel Hard Dental Night Guard (1mm thick) for your daytime needs. 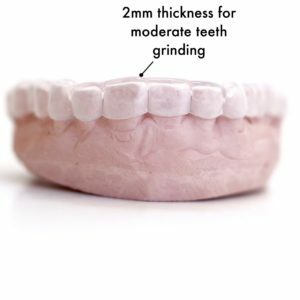 If on the other hand you have a case of night bruxism that is moderate, you are better off settling for a dental night guard of medium thickness. 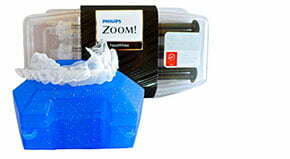 This guard will have the capacity to protect your teeth while being comfortable in the mouth. This thickness is not bulky. A nickel coin is a great reference point to get an idea of a 2mm thick night guard. The nickel is almost exactly two millimeters thick. The medium thickness dental night guard is available is likely to serve you for a period of between one to three years. 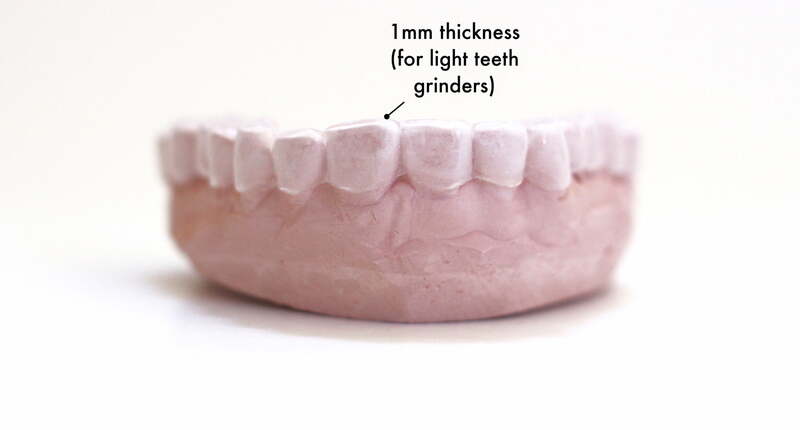 In case you have a severe form of the condition that is adversely affecting your teeth, it may be advisable (always check with your dentist) to choose a thicker (3mm) dental night guard. These guards are a full 3mm of thickness between the chewing surfaces of the teeth and you can therefore expect complete protection no matter how serious your condition is. However, due to their thickness, the thicker guard may take some initial “getting used to” and most often require some adjustments. Since they are thick enough to withstand your grinding, you can expect them to serve you for a period of between two to five years. 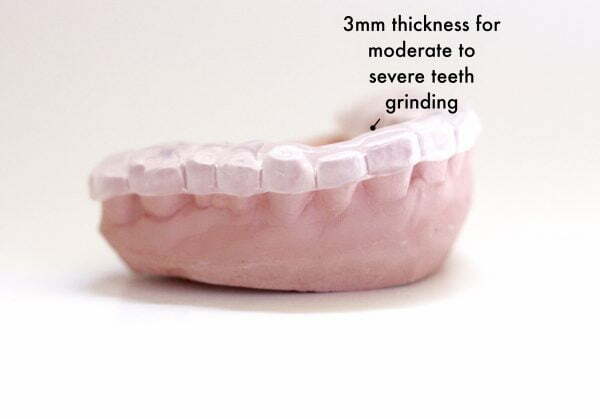 We offer a 3mm soft (flexible) night guard only. We do not offer the 3mm thickness is the hard or dual laminate types because of the complex fabrication of these thicker appliances & greater need for adjustments. It is best to purchase this type in the hard or dual laminated materials through your dentist so that he/she can fit you correctly. 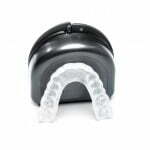 All Sentinel Mouthguards and Nightguards are backed by our 100% satisfaction guarantee. This doesn’t just mean we’ll give you your money back if it doesn’t work out the first time around. This means we will work with you continuously (if you so choose) to get you a night guard that is a great fit FOR YOU.